The 0,5 liter narrow moth is easy to bring with you and refill. The cap is attached to the bottle with a loop but can be removed and replaced. The narrow moth opening minimizes the risk of a “facial splash” when drinking. The durable bottle does not give or take taste or smell from the beverage. The markings on the side in both ml and oz lets you track the daily water intake. The bottle withstands temperatures ranging from -40 to +100 degrees Celsius and is dishwasher safe. 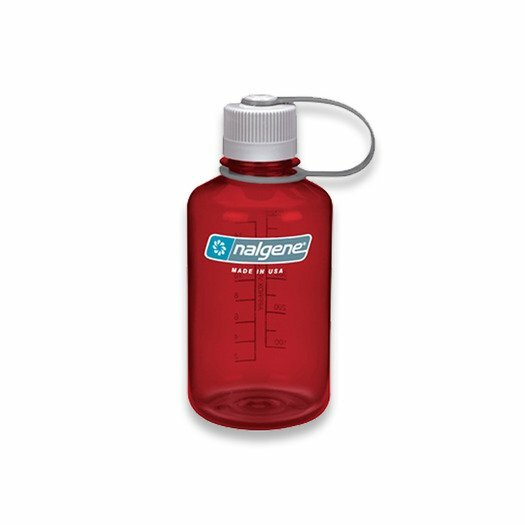 Made in the US under strict quality control and is of course BPA free. 818 kn preostalo do besplatne isporuke!